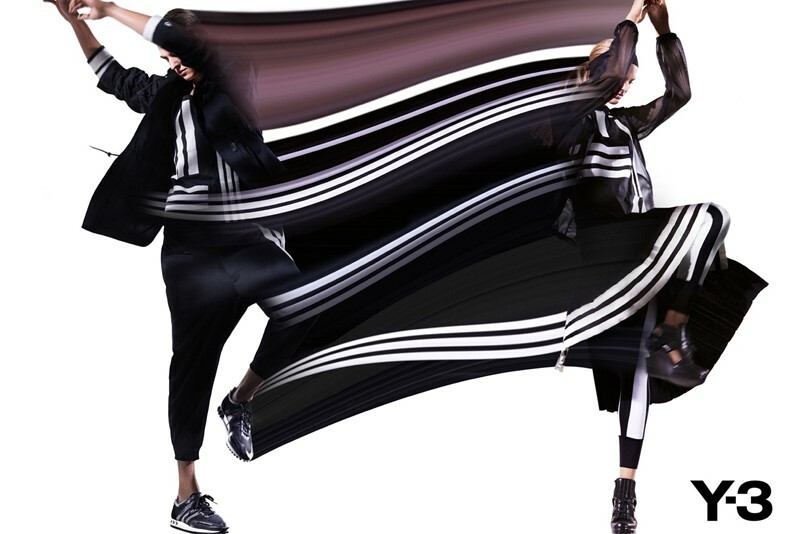 Founded in 2003, Y-3 (the 'Y' representing Yohji and the '3' corresponding with Adidas' three iconic stripes) was one of the first labels to actually design sportswear, as opposed to purely looking at its functionality. Apart from fusing innovative sportswear technology with Yamamoto’s avant-garde creations, Y-3 also embarks upon artistic projects season after season, including floating runways and laser light shows. The brand’s latest endeavour sees Y-3 packaged into 150 square metres of futuristic retail space for the label’s second London store in Covent Garden, which opens today. 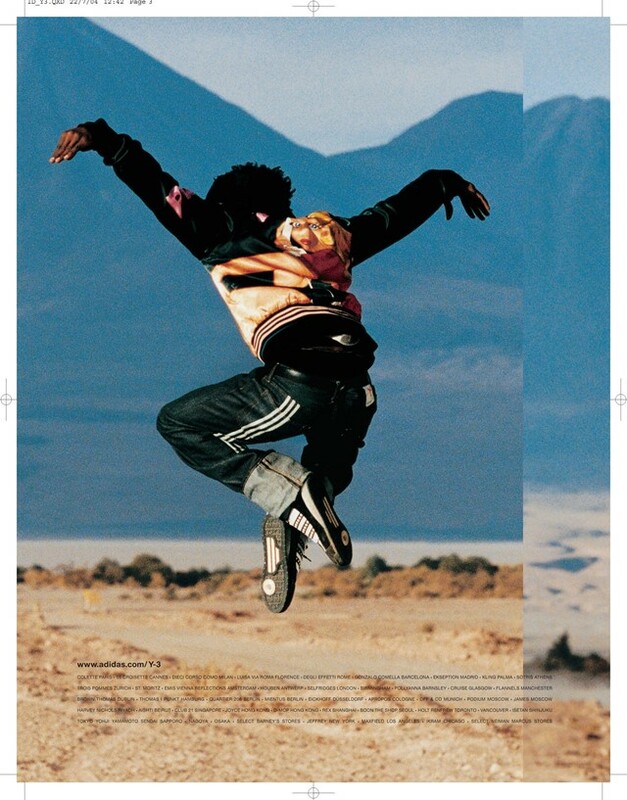 In honour of the label’s tenth anniversary, Dazed Digital looks back at the untold stories behind the most striking campaigns in Y-3’s history. 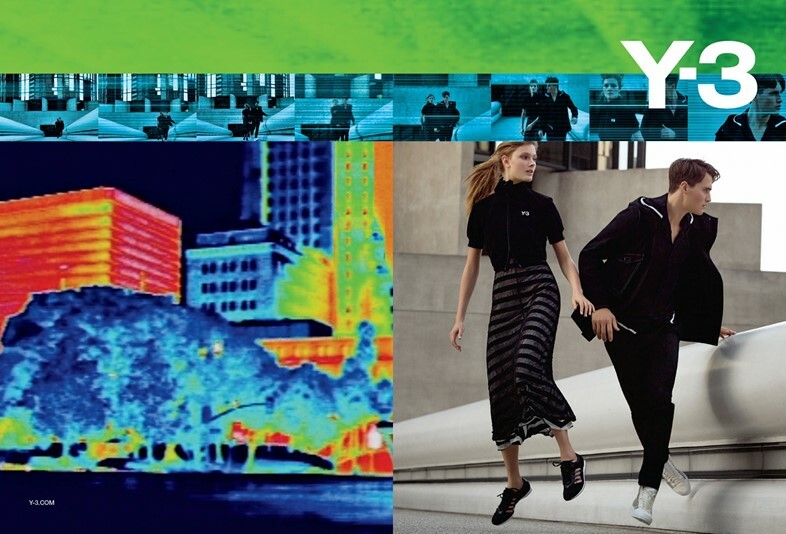 The “synthetic energy” of urban life is reflected in the surveillance camera-like imagery and colour-saturated cityscapes of McDean’s campaign, echoing the Dan Flavin-esque presentation of the SS 09 collection. Coinciding with the 2010 World Cup, this campaign features laser-cut pieces inspired by the moment when a soccer ball hits the net and is presented on the likes of Zinedine Zidane and Mr. Yamamoto himself. They say there’s no second chance to make a first impression and Y-3’s premiere campaign, shot in the Peruvian desert, did not disappoint. Jones’ energetic photography fittingly sets the collection’s work wear details, eastern folklore-inspired colour palette, soft nappa leathers and constructivism-derived prints against a barren landscape backdrop. Sorrenti’s graphic imagery solidifies the sleek urbanite feel of Y-3’s functional yet elegant aesthetic. The black and white garments represent a pure Yohji design mentality, the three stripes make a cheeky right corner appearance and legendary creative director and Y-3 collaborator Doug Lloyd gives the imagery his quintessential polish as well. 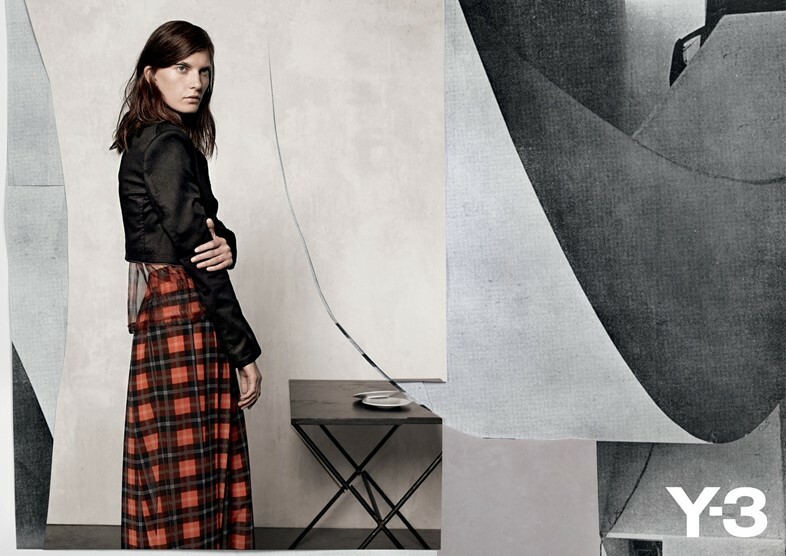 Schorr describes her collage campaign as being “inspired by the modernist literature and architecture that is in itself a fusion of political and architectural mantras, both dreamy and concrete”. Entitled ‘The Precipice’, the resulting imagery explores the relationship between the human body and its environment through a fictious travelogue and 1960s Brasília. Karmen Pedaru (dressed in the season’s sharply-executed menswear) makes her way through a giant video landscape for McDean’s take on the interplay between fantasy and reality, natural exploration and the electronic age. The soft silhouettes of the season melt into one trippy structure thanks to the techniques of visual artist and Dazed Collaborator Pierre Debusschere, showing off the creative’s Iceland - and Northern Lights - inspired digital work alongside the styling of Jay Massacret. 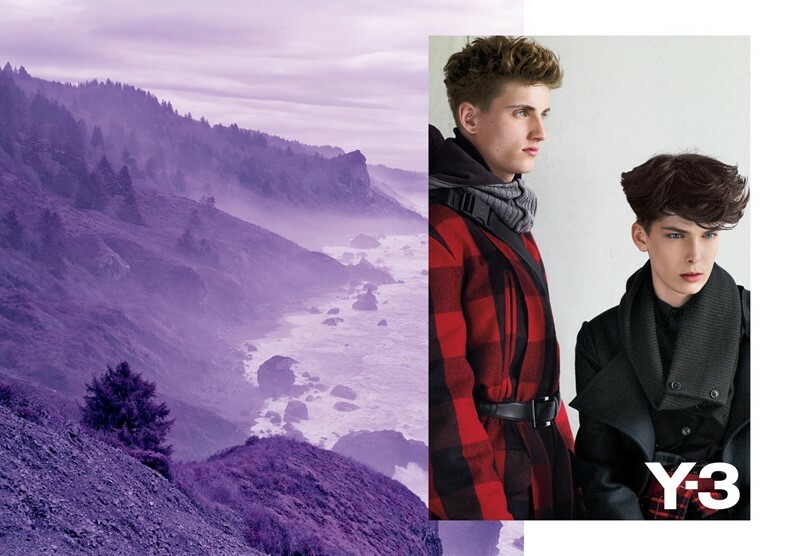 Seeing as Yamamoto’s collections have traversed us from places like Mongolia to England, it was only a matter of time before a Y-3 campaign explored the art of travel. ‘Beneath, Between, Beyond’ combines the landscape photography of David Benjamin Sherry with Schorr’s depiction of two internally daydreaming travellers, capturing the sense of losing oneself in both travel and love. 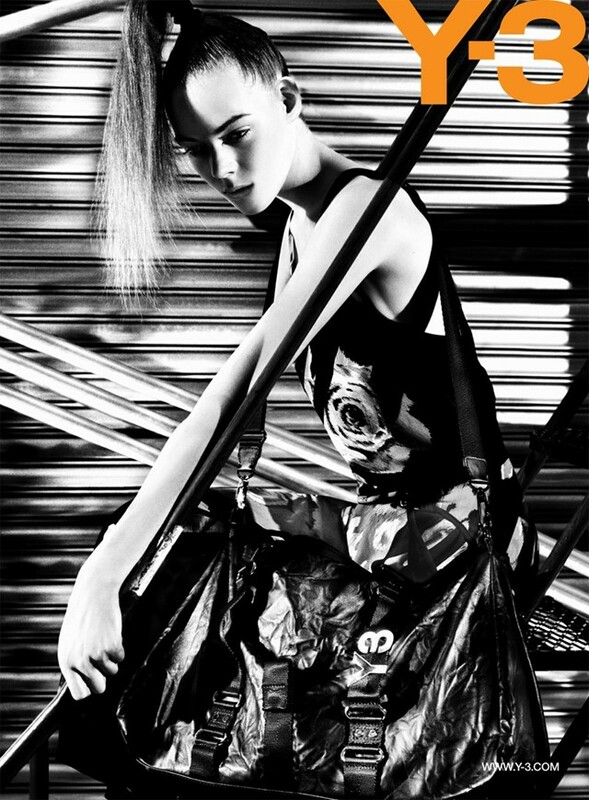 Through stark, black and white photography, Sorrenti delves into the purist side of things for his first Y-3 campaign. Despite the collection’s initial designs of digital floral prints and billowing shapes, the final images possess an undeniably sharp and precise focus. 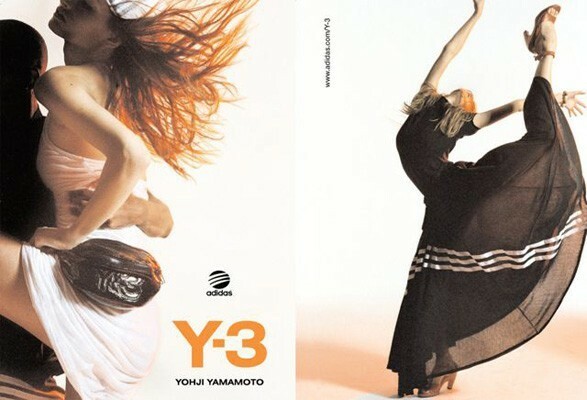 Jones’ last campaign for Y-3 was inspired by the most pivotal dance movements of the 20th century, from New York disco to Argentinian tango (energised with a splash of fiery orange nonetheless). The athletic collection didn’t only mark a collaboration with Adidas global creative director Michael Michalsky, but also marked the brand’s first show in New York. AW11 proved to be another showcase of McLellan’s trademark British sensibility and taste for subcultures - after all, the man did get his start depicting club goers in Leeds during the late 90s. This time, his army of choice are wool coat-cocooned models, photographed in the gritty surroundings of Hudson River Park.